I also will be putting this info in has55 R&D for those who follow that thread. Thank you for allowing me to share this information. @No_Such_Reality wrote: Should we be pulling the roots or just cutting off at soil level and planting near? While catching up on the recent post by Has55, I came upon this question and the comments following it. In my 50-some years of organic gardening (that is a misnomer for me, since when I first started gardening, Organic was unheard of and chemical fertilizers were not the norm), the answer to the above question has been, "It depends". I cut off the plants so that the roots can decompose in the soil and feed the worms & microbes, unless the plants are diseased or the root ball will be in the way of the succession planting. Over the years I have learned that leaving the root ball in the soil reduces the amount of soil lost each year, reduces compaction of the soil, enriches the soil by feeding the microbes, and increases organic material in the soil. This is especially important for bean & pea family plants with their nitrogen nodules on the roots. I do the same with the winter cover crops - in spring I cut them off at ground level and leave the the tops on the soil as mulch while letting the roots decompose. Since I also use mycorrhizae in the beds, leaving the roots in the soil also maintains the family of fungi. @has55 wrote: JC thanks for helping the nerdy ones and the ones who want to explore what's going on in our compost, what's going on under our feet, our planted food, and our landscape. With all that we know today about microbes & fungi, this is still true today. this video is very easy info for homeowners. taking care of your lawns, trees, vegetable, eliminates the pressure of insect and disease. The research done on the Komodo Dragons was fascinating. great video of what happening at the root structure. Cookies and Cake for the microbes! You might also find this document interesting. OhioGardener, until I watched Dr David Johnson's webinar at the USDA and the You Tube video of his Johnson-Su Compost Bioreactor, I had a hard time understanding aerobic compost tea because I thought something was missing when you brought the microbes to feast and there was no food. I thought there should be compost or food there already for the microbes to feed upon. 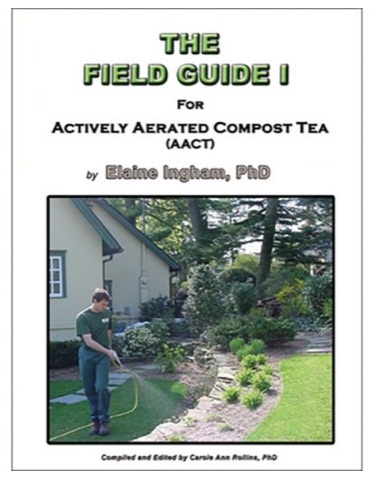 I know of compost tea benefits although there is more on the confirmed benefits of vermicompost tea. 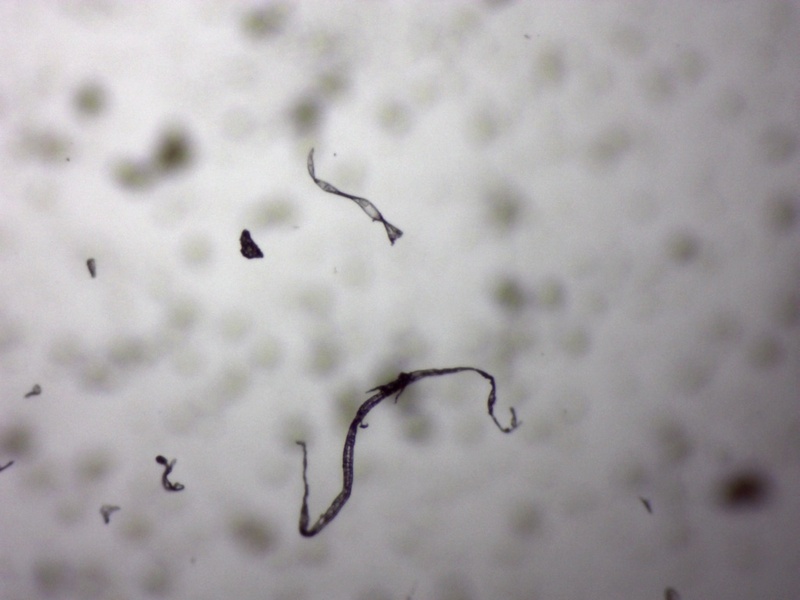 I also had a problem with the Soil Food Web poster and couldn't find the earthworm but found 3 nematodes. That didn't bother anyone? Darwin's Treatise on the earthworm in the 1880s was ground breaking and more anticipated than the Theory of Evolution. I still think Dr. Johnson's inoculation of the seed with his compost slurry has the greater chance for success. That success being the ability to simply feed 9 billion people. I still have much respect for Dr. Elaine Ingham but she wasn't the only one who worked on the Soil Biology Primer but she was one of the first, a woman shouting we were heading in the wrong direction in the methods we were using to grow our food. Let's not forget about Robert Rodale and The Rodale Institute who ran experiments at their Pa. farm for years and still do. I study earthworms or better said, try to learn as much about them as possible. Good things happen when compost is added to the mix, even better if the compost and the garden soil has passed through the intestines of an earthworm. Dr. Clive Edwards, whose name you will see as one of the authors of the Soil Biology Primer was the only worm expert I never heard back from when I emailed them. Come to find out he was in his nineties, so understandable. We are just at the beginning of understanding of what is happening beneath our feet as we grow our own food and hopefully many names will be added to the list of those who aided in our understanding of soil microbiology. Who among us would have thought we would have to go extremely small to get the big picture. A link to the USDA Soil Biology Primer and Soil Food Web Poster. The Understanding of the soil food web is becoming more mainstream which is exciting. It has been a journey. Thank you Jimmie Cee. 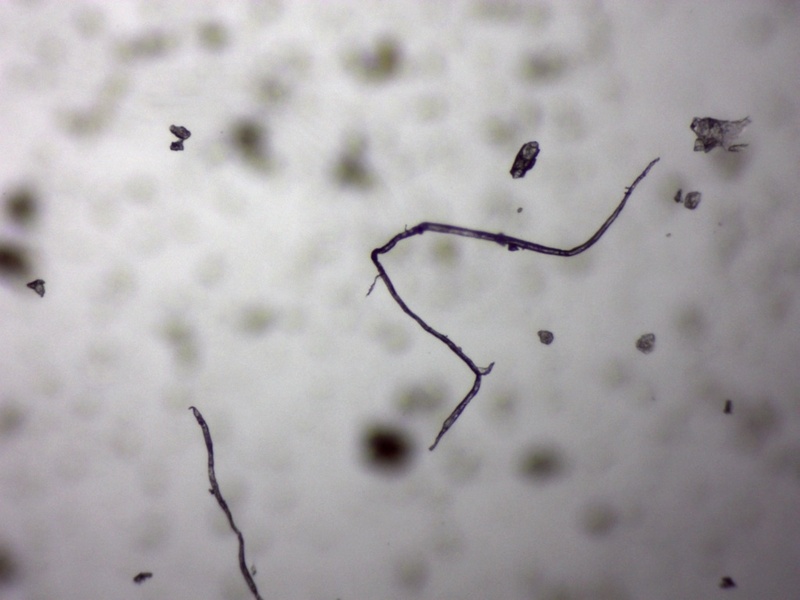 Today, I made mini-batch of worm casting compost tea, and looked at the results under the microscope. 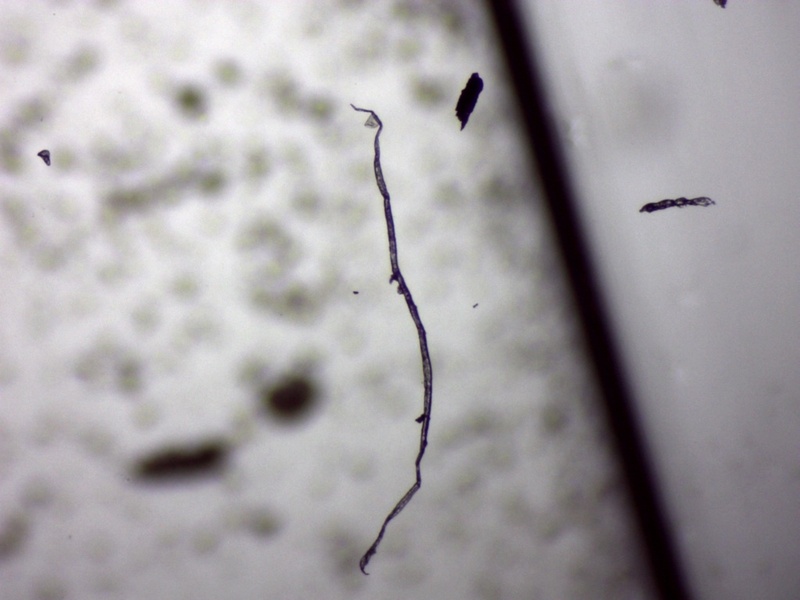 Although the worm castings tea had only been brewing for 12 hours, it was great seeing the microbe activity in it! My onion seedlings go a dose of worm casting compost tea when I was done experimenting, so they are happy, too! That's a good deal. Awesome set up. I see the bacteria, have you been able to identify anything else? What is that large thing in the 2nd video. Is it eating the bacteria or is it just humus? "Never plant without a bucket of compost at your side." @has55 wrote: That's a good deal. Awesome set up. I see the bacteria, have you been able to identify anything else? What is that large thing in the 2nd video. Is it eating the bacteria or is it just humus? Thanks! I love that slogan, too, and never seem to have enough compost! As Jimmy Cee says, "It's in the compost!" The process of identifying all (some?) of the microbes is going to be quite a learning curve for me. 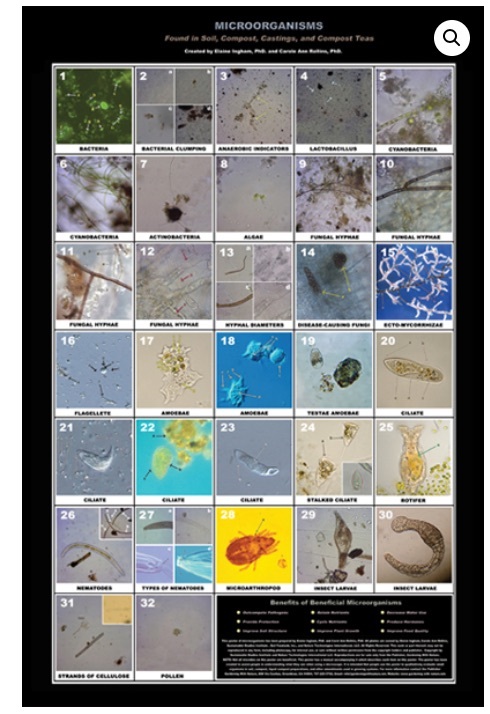 I have been using the tremendous amount of information provided by Tim Wilson (http://www.microbeorganics.com/) to be able to identify the various organisms. The 2nd video was at 250X, and it was hard to identify that larger item. 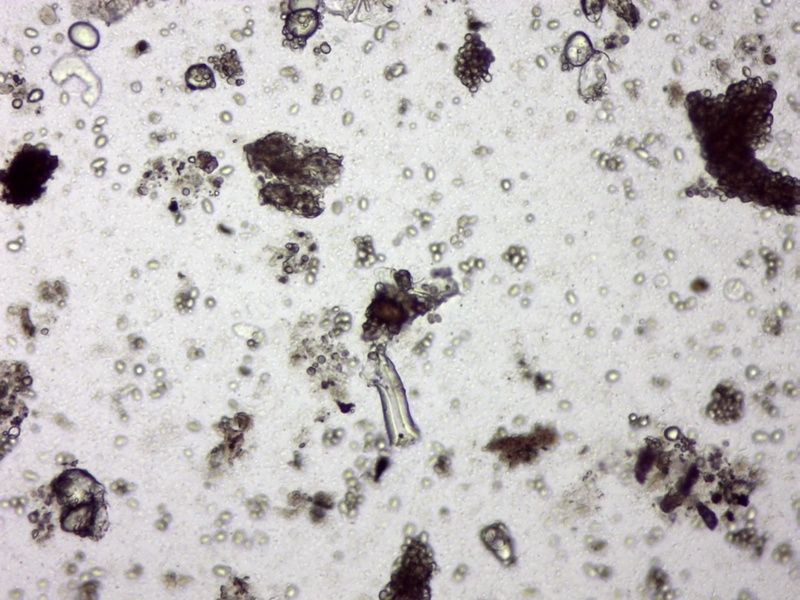 When I had the scope at 100X, it looked like an Amoeba and appeared to be searching for food. But, when I increased it to 250X it looked more like humas. So, not sure at this point what it was. One of the things I am going to work on this afternoon is being able to better focus the camera for clearer pictures. This video by Tim Wilson was an inspiration for me to start this adventure. At about the 6:30 mark he shows an Amoeba in movement, and that is similar to what that thing looked like on mine at 100X. So, still not sure. If you push the time slider across the pictures, one can really see the microbes rushing around and turning somersaults. Fascinating. No closed captions though. OhioGardener, thank you for being an inspiration. I am going to start saving my green money up and focus on getting a microscope. My green money is made by selling transplants in the spring, rain barrels and The Black Knight Composter. I should make enough to get one for this coming 2019-2020 winter research session. Anything to keep me warm and inside. Maybe I could sell t-shirts that read "To get the big picture, go micro!". It is good to know that there are citizen scientists out there, seeking knowledge for the sake of knowledge. Again, thank you. Enthusiasm is contagious if you can catch it. I love learning and experimenting, Dan - it is the retired engineer in me.... When I start a new project or technique, I am never satisfied with just if it worked or if it didn't, I want to know why. I started with compost tea (ACT) the year before last, and had great results with both increased production and increased quality. But, I wanted to know what was happening not only in the plants, but in the soil. A friend sent me a copy of the new, revised edition of Teaming with Microbes, and I couldn't wait to read it (again!). That re-inspired me to do more than just make compost tea and apply it to the gardens. 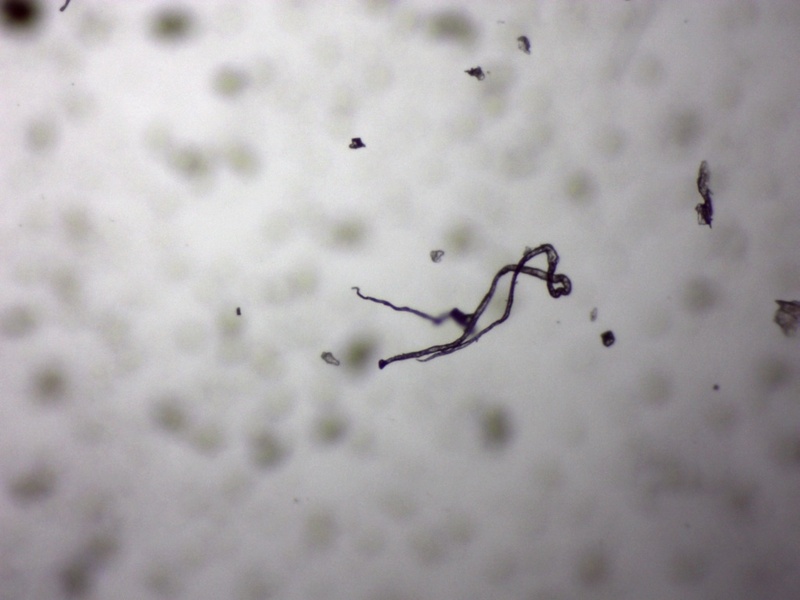 I built a new compost tea brewer, I "enhanced" my compost tea recipe, and I put getting a microscope on my wish list so I could verify the quality of the compost tea. But, getting the microscope would have to wait until funds were available, or the desire overrode the funds/cost. Another project caught my eye was developing fungal dominated raised garden bed to enhance the plants ability to use the microbes I was feeding them. 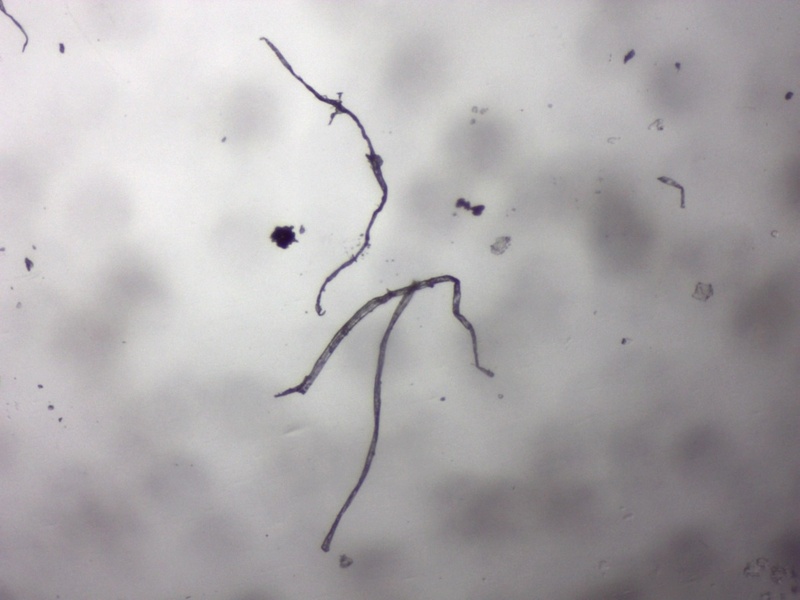 How do I know when I have accomplished a fungal dominated soil, or a microbe rich environment? I needed a microscope, which I didn't have the money for at the time. But, then, many months later, a nearly $900 digital microscope system was on sale for a about 1/3rd of the price. I had the money for that, I jumped into the deep end of the pool. Of course, we all know that now comes the "accessories" that would be "nice to have" to use with the microscope! If I am able to offer some level of inspiration to pursue knowledge and experimentation, Dan, I am happy! After re-reading Teaming with Microbes, and reviewing Tim Wilson's articles and videos on compost tea, I became very inspired to learn more. And, just because I am in the mid-70's doesn't mean that I can't keep on learning, especially if it helps to improve my quality of life. Today, after re-reading Chapter 5, Fungi, of Teaming With Microbes, I decided to look at some of my compost to see how much fungi I could find. It is such a fascinating study! I have working to ensure I made a good fungus-based compost, so I wanted to see if in fact there was any fungus in the compost. 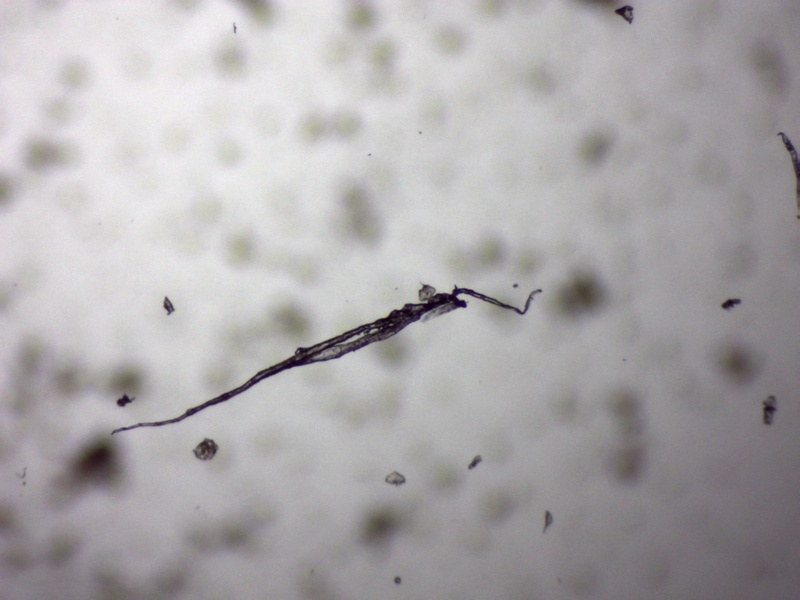 I took a pinch of compost and mixed it with a teaspoon full of distilled water, then I used a pipette to put a drop of the water on the microscope slide and put a cover slip on it. It was fascinating to see the bacteria and fungi in that drop of liquid. The bacteria is visible in the background of the fungus, but I had to zoom in to see it clearly and then the fungus was a blur. that's good healthy fungi. I have to find the ratio per view chart to tell what a good ratio for each organism. If I find it, I will post it. Brand, Model, cost, new or used microscope? I am totally jealous. @sanderson wrote: Brand, Model, cost, new or used microscope? I am totally jealous. It is a new OMAX Digital LED Trinocular Compound Microscope with 40X-2500X lens, and a 5MP USB Camera. They were on sale as a package deal with a carrying case, cover, slides, and cleaning kit. The microscope had a list price of almost $900, and they were on sale for under $400 - I think the total cost was $385 or thereabouts. I bought this one based on recommendations from Tim Wilson on his http://www.microbeorganics.com/ page. 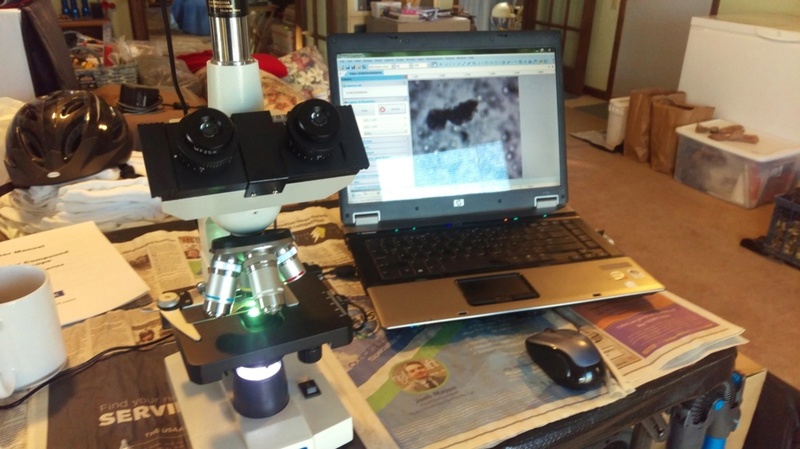 It has been great learning how to use the scope to check on microbe and fungus activity, and I wanted to get it early enough in the season that I can learn the best way to use it and will be ready do do Compost Tea and Compost testing when the summer gardening season begins. Yesterday I was testing the soil in my seedling tray and found good microbe activity. Apparently the worm castings I added to the seed starting mix introduced microbes into the soil. Unfortunately, I didn't hook up the computer to the scope so I could take pictures of them.